I remember reading a comparison somewhere that Ravi Shankar was the Elvis Presley of the East, citing how his talent and influence shaped the development of raga music just as 'the King' changed the game for rock music. While I see the merit in that comparison, I don’t think that it does justice to Shankar. His good friend George Harrison once referred to him as “the godfather of world music,” which is a role I think is more accurate – his influence was not felt just on Indian music, but has shaped music worldwide for the past half-century. Last night, we all learned of the sad passing of Shankar at the age of 92. In the hours after this news was reported, I saw an immense outpouring of sadness and condolences offered on Twitter, Facebook, and various news websites. The way that Ravi touched the lives of so many people – spanning so many different ages and interests – is incredible. I think it is in only this regard that we can begin to express his immeasurable presence in the arts community. Like a lot of people who appreciate greatness but are seriously just oblivious to all the wonderful things around them, I didn’t know too much about Shankar for quite an unfortunately long while. It wasn’t until I explored his connection to 1960s rock music that I began to actively seek out his relations with artists like Harrison and John Coltrane, his own personal discography, and performances at such legendary events as the Monterey Pop Festival, Woodstock, and the Concert for Bangladesh. 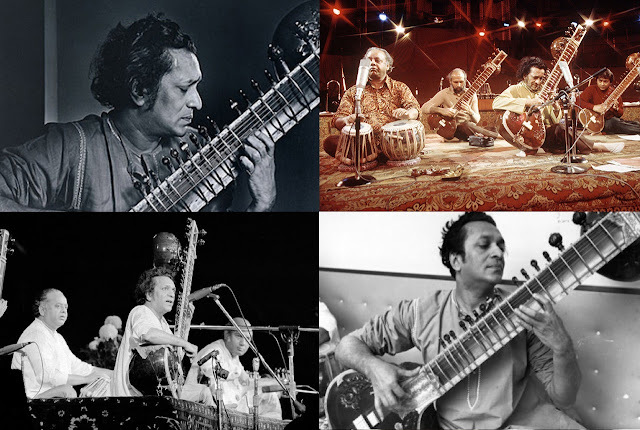 Ravi became George’s sitar instructor and brought him into the world of music that he was so involved with, while George is credited with starting the movement toward raga rock during the 1960s and, to a larger extent, the fascination with Indian music in all of the west. They often partnered together to synthesize east and west in music – the box set “Collaborations” is a phenomenal look at the work they shared on various albums, concerts and benefits over the years until Harrison’s death in 2001. I know how trite it can sound when people such as you and I mourn the loss of some famous person we never knew and only feel like we did because of their work, but we all have truly lost a great man and indelible figure in the formation of mid-20th century art and music. I know I could never properly explain how spectacular his life and influence was on the world; I don't know if I could even properly express how he changed my life. So I won't try to do so anymore. I only urge you to seek out more information about this man and explore his incredible music, and maybe you'll come up with some way to understand his meaning in your own life. 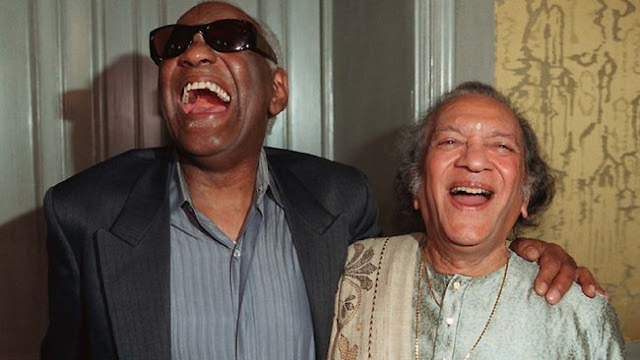 All I know is that Ravi Shankar wasn’t the Elvis Presley of the East. He wasn’t the anyone of the East. 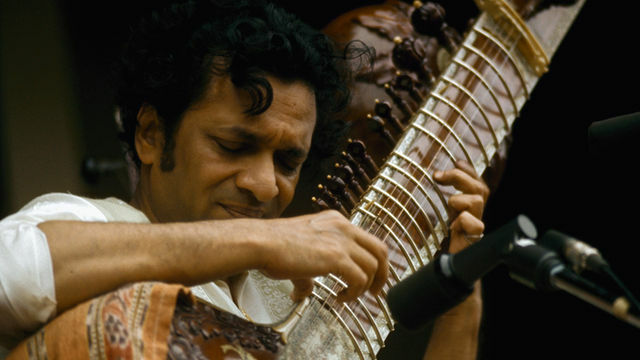 He was just Ravi Shankar.